The contest has wrapped up and all 6 winners have been identified. Thank you to each contestant for participating, we really enjoyed reading everyone's poetic thoughts on the meaning of emerge. Need Help Learning Where To Enter Your Coupon Code For eCampus.com? Direct Textbook offers a quick guide to help you find your coupon and learn how to apply it. Locate and click the coupon icon and a popup window will show current codes for your book. 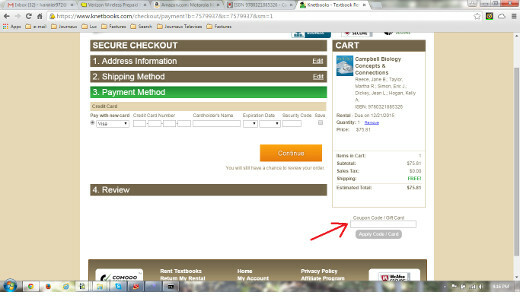 Double check the item in your cart, proceed to checkout, and then sign in to eCampus.com. Lastly, enter your coupon code in the Coupon Code box just below your shopping cart. Where in the world do I enter my coupon code for Knetbooks.com? Locate and click the coupon icon and a popup window shows current codes for your book. 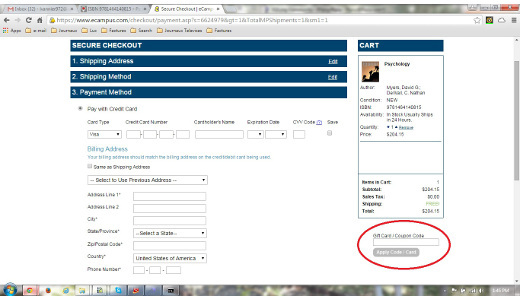 Add item to your cart, proceed to checkout, and then sign in to Knetbooks.com. Lastly, enter your coupon code in the Coupon Code/Gift Card box just below your shopping cart. What’s With All These Ebook Formats? EPUB, MOBI, AZW, PDF… what's the difference between ebook formats, and what do they mean to you? If you've ever tried to research the difference between ebook formats, you've probably noticed most explanations are heavy on technical jargon and light on plain English. They're laden with terms like XML, HTML5, and CSS - terms unfamiliar to most non-programmers. Get paid to help your friends save money - that's the premise behind the Direct Textbook Referral Program, which pays you cash simply for showing your friends how to save up to 90 percent on textbooks.